Successfully Added 18x1BB Metal Baitcasting Fishing Reel 8.1:1 Long Shot Right Hand Fishing Wheel to your Shopping Cart. The high speed ratio is 8.1:1, the outlet is smooth and the throwing is more labor-saving. 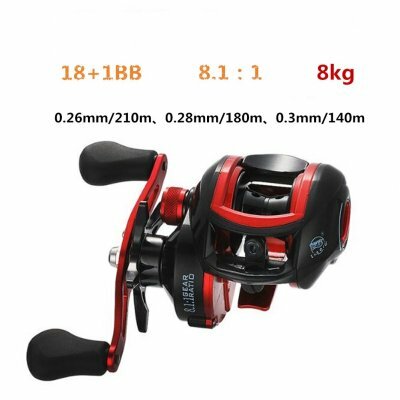 The number of bearings is 18+1BB, the braking force is up to 8KG, and it is easy to catch big fish. The use of metal bearings, strong operating performance, low noise, high strength. Adopt adjustable magnetic brake, easy to get started, effectively prevent the line from being fried. It adopts ceramic outlet, metal rocker arm and carbon fiber bleed button for better performance.